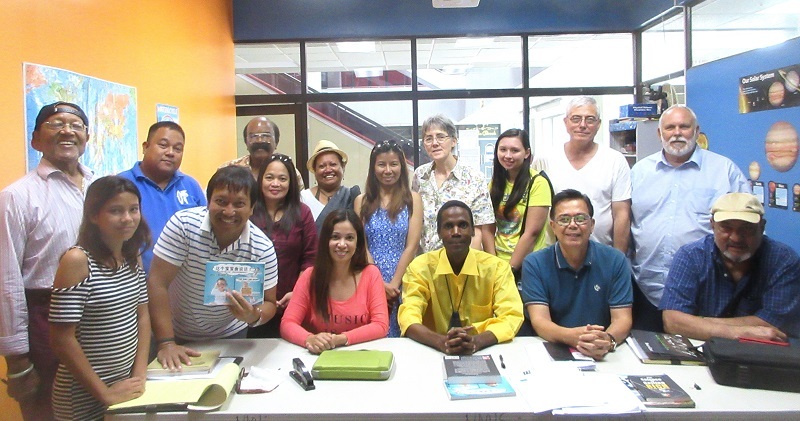 Welcome to the new home of Saipan's writers. The mission of this site is to provide information, inspiration and ideas for Saipan's many writers, and to showcase Saipan's writers to the world! 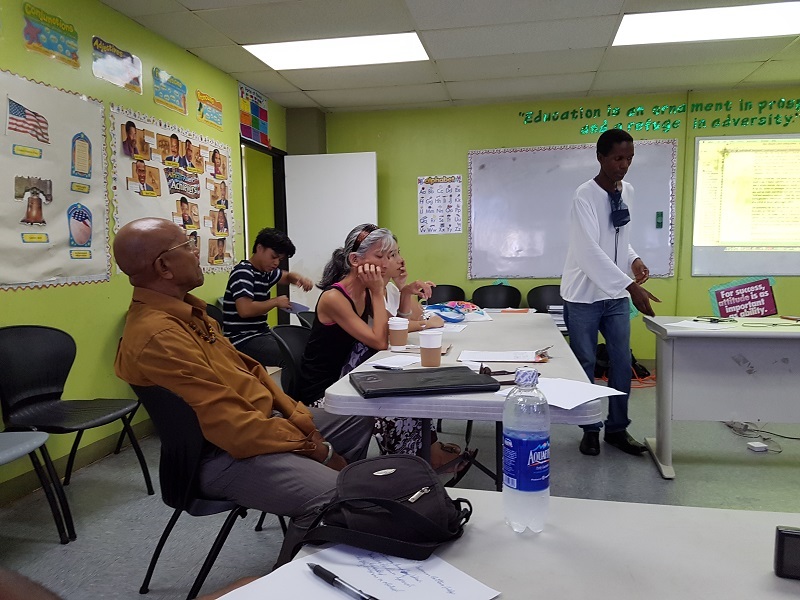 Through this site, you'll be able to find and contact authors, purchase their books, sign up for writer workshops led by book coach Walt Goodridge and hosted at various locations on Saipan! Our Writer Group Success Stories! Following are individuals who, through my coaching or workshops and have gone on to complete and publish their books! 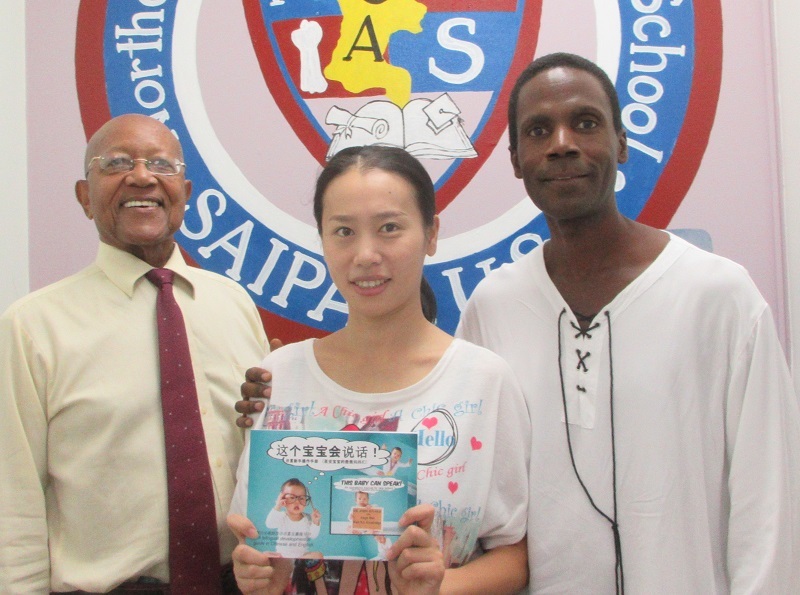 Dr. John Joyner, long-time resident and educator, with translations by Angie Hu, published This Baby Can Speak (a child development guide) in English, Spanish and Chinese after attending workshop #3! You can check it out at www.thisbabycanspeak.com and on Amazon. Zaldy Dandan, editor of the Marianas Variety, inspired by the workshop, published We'll Kiss Like It's Air and We're Running Out of It (a book of poetry), AND Die! Bert! Die! (a book of short stories). 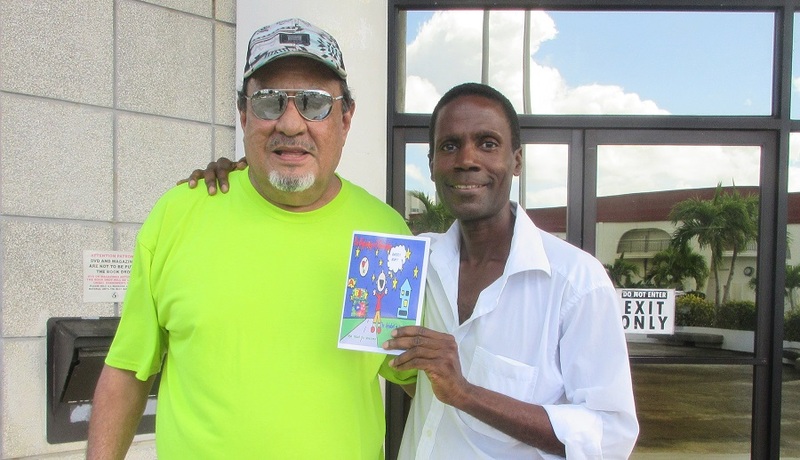 George Gomez, workshop attendee, inspired by the ease of the process, started a publishing company and published a Cajun recipe cookbook of Chef Donn Gueniot's best recipes! Find it online on Amazon! Tony Peters, workshop attendee, published his The Alphabet in Tropical Nature book, featuring simple educational tools of the alphabet and the numbers 0 through 9 against a backdrop of nature photos taken right here on Saipan! ADMISSION: FREE! 15 registrants needed for the event to take place. Please see Julie Sablan (433-0504) at the library to sign up. 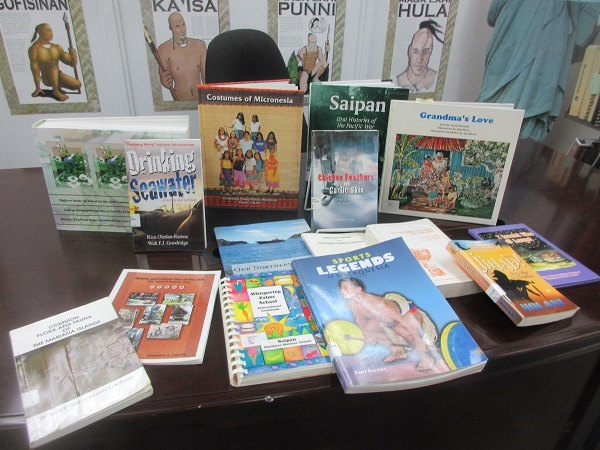 Yes, the CNMI is a writer's haven! Have an idea for a new book? Want to re-issue your out-of-print book and sell it on Amazon? Want to know how to report your author income/claim deductions on your taxes? It's easier than you think and may not cost a penny out of your pocket! Remember, "repetition is the key to mastery." So, even if you've attended these workshops in the past, please come again! First ever workshop on Tinian! 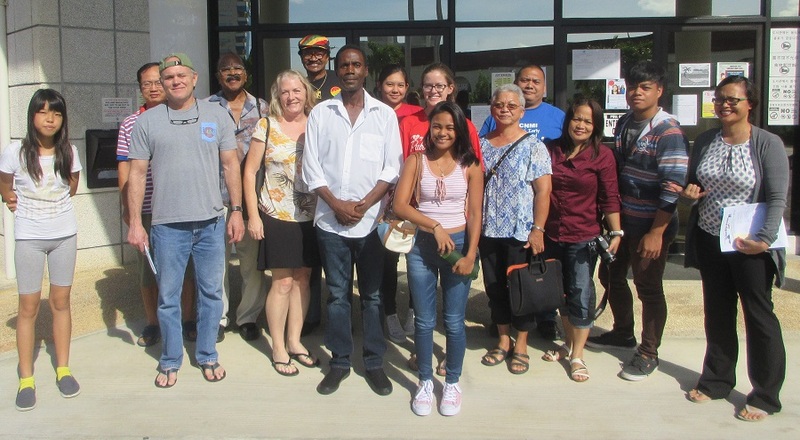 Thanks to the Tinian Mayor's Office and staff, and Friends of the Library, Tinian's first Writer's Workshop on Friday, July 13, 2018 was a resounding success with over 20 registrants and staff in attendance! 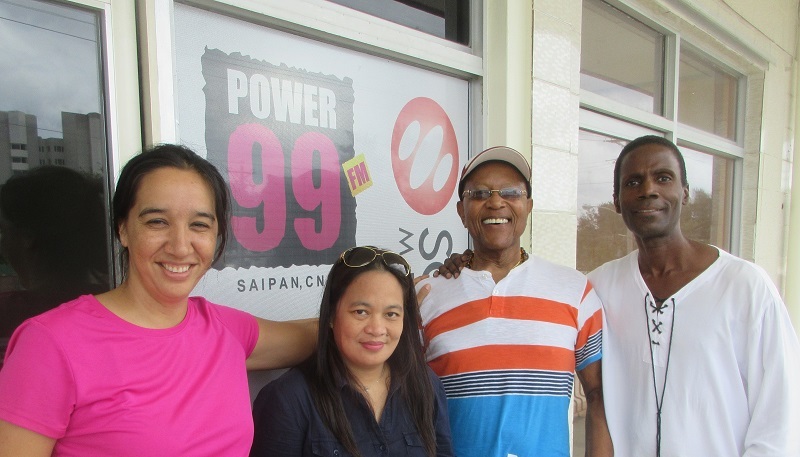 I was recently interviewed by Bob Coldeen of KSPN2 News here on Saipan about the upcoming writers' workshop on Tinian! 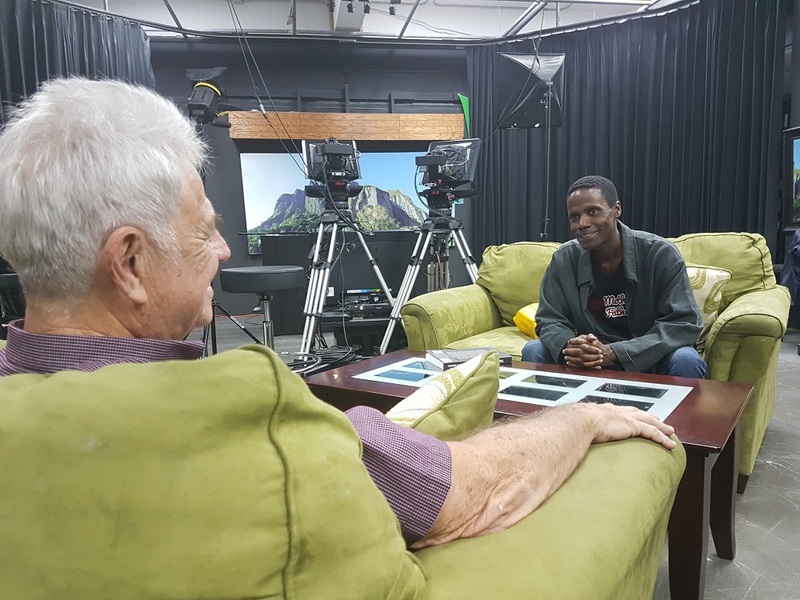 The interview starts at 13:30, but check out the entire newscast to get a taste of life and media in the Commonwealth of the Northern Mariana Islands! #7! 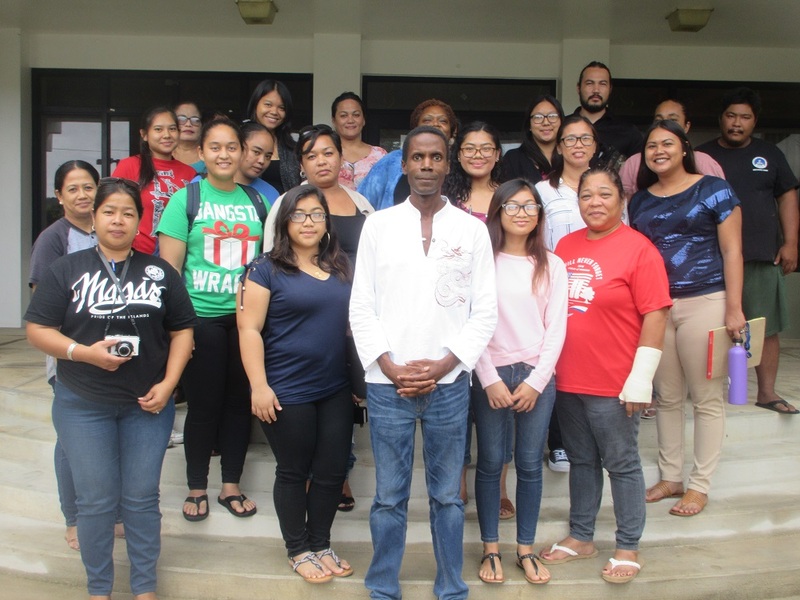 Authors, poets, photographers and artists--both published and soon-to-be--attend Walt F.J. Goodridge's 7th Saipan Writers Workshop at Joeten-Kiyu Public Library, Saturday, June 23, 2018 on Saipan, CNMI. 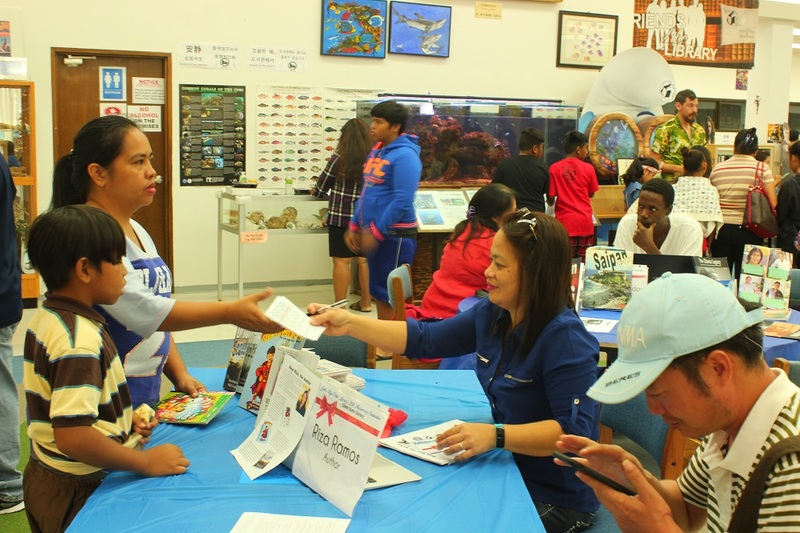 20% of the admission proceeds were donated to Friends of the Joeten-Kiyu Public Library. Stay tuned for announcements of workshops on Tinian and Rota! #6! 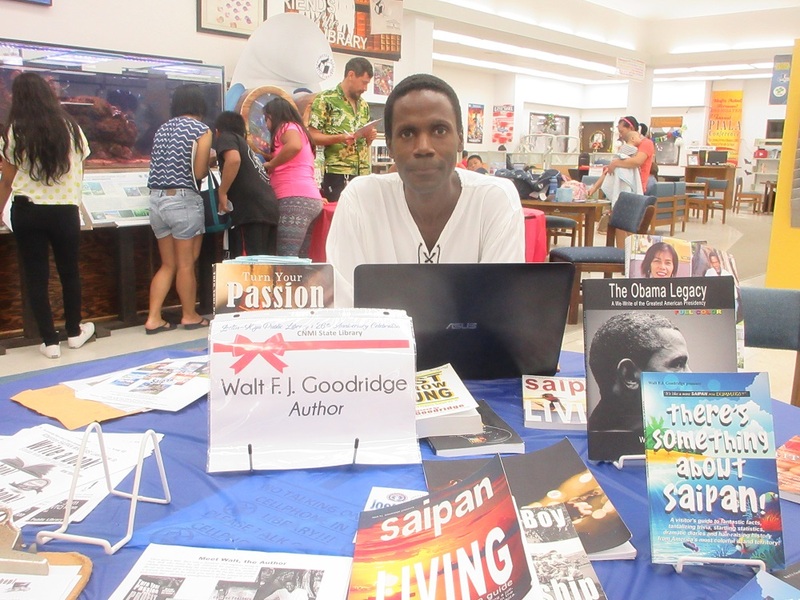 Jan 27, 2018: Authors, poets and artists--both published and soon-to-be--attend Walt F.J. Goodridge's 6th Saipan Writers Workshop at Joeten-Kiyu Public Library, Saturday, Jan 27, 2018 on Saipan, CNMI. 20% of the admission proceeds were donated to Friends of the Joeten-Kiyu Public Library. Stay tuned for announcements of workshops on Tinian and Rota! 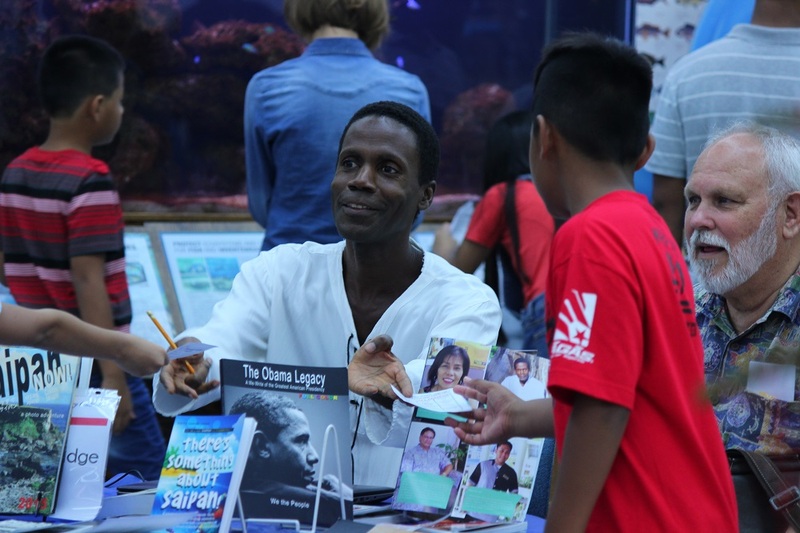 Jan 27, 2018: Author, Tony Peters, workshop attendee, and his new children's book! Dec 29, 2017: Author, Riza Ramos, with her independently-published books at the Joeten-Kiyu Public Library 26th Anniversary Author Meet & Greet event! You should have been there! 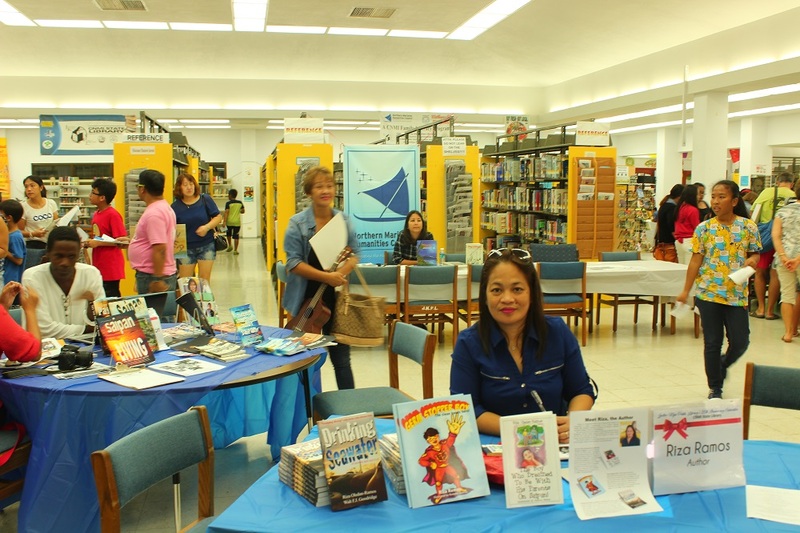 Dec 29, 2017: Author, Riza Ramos, at the Joeten-Kiyu Public Library 26th Anniversary Author Meet & Greet event! You should have been there! 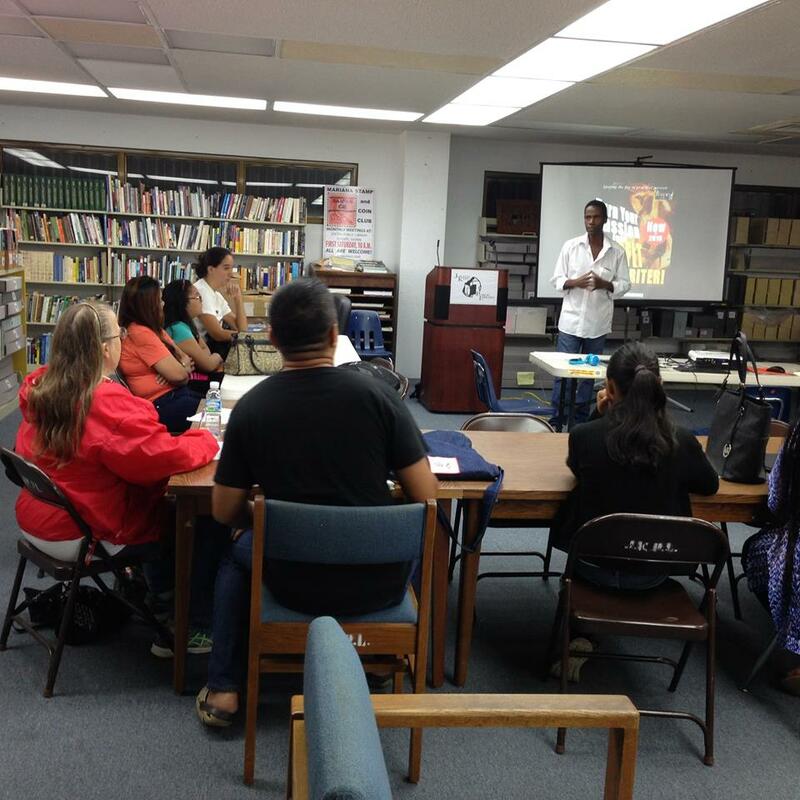 Dec 29, 2017: Author, Walt Goodridge, at the Joeten-Kiyu Public Library 26th Anniversary Author Meet & Greet event! You should have been there! SAIPAN: Most Writers per Square Mile? Yes, we can! It must be something in the water or the lagoon's many inspiring shades of "saipan blue!" It may be the documented fact we have "the cleanest air in the United States"--and the effect that may have on creativity. Maybe it's our proximity to the Marianas Trench, and we're pulling deep thoughts from the deepest part of the ocean! Or maybe it's the tropical climate, and that (it's said) we're cited by the Guinness Book of World Records as having "the least fluctuating temperatures in the world." Whatever the reason, we may have one more thing to add to the list of what makes Saipan so special: I suggest to you we may also qualify as having "the most writers per square mile!" Work with me on this one. From my unique vantage point as a book coach here on Saipan, it occurred to me recently that for such a small island, there are an awful lot of writers churning out books. Now, as you may know, Saipan is approximately 12 miles long by 5.6 miles wide, with a total land area of 44.55 square miles (let's say 45). What if, I thought, Saipan actually has more writers per square mile than any place else on the planet? That would be a feather in our collective cap we could boast about and use to carve out a new type of tourism! 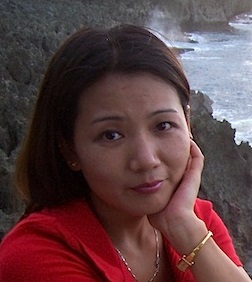 A few days of exciting research ensued, and I now present, in alphabetical order, the first iteration of the "Ultimate Saipan Writers List" of individuals who--inspired perhaps by Saipan's sunshine, water, air, history, cultures and lifestyle--turned a passion for sports, cooking, poetry or unique life experience into these timeless literary works! *= Writer's Workshop attendee or person I've coached on product creation.  Walt F.J. Goodridge: (1) Saipan Living; (2) Doing Business on Saipan; (3) Jamaican on Saipan; (4) Chicken Feathers & Garlic Skin; (5) Saipan Now! (6) How to Become a Nomadpreneur (2017); (7) Turn Your Passion Into Profit; (8) Ducks in a Row; (9) Living True To Your Self; (10) Jamaican in China; (11)The Obama Legacy, (12) The Obama Legacy Timeline; (13) Donald Trump: Let's Look at the Bright Side; (14) Masculinity 2.0; (15) The Man Who Lived Forever; (16) Fit to Breed; (17) A Clean Cell Never Dies, and others. 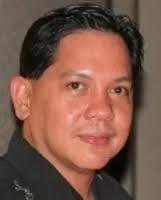  Joe Race: (1) Moon over Manila; (2) Ramblin 'On; (3) Continuin' On and others. Eureka! It's true! It's official! At just first blush, we're at almost 1.5 writers per square mile! Someone please do the research and let me know if any other US state, territory or commonwealth can boast the same! Internationally, forget what you'll read about Iceland (that one in ten will publish a book)! Don't be swayed by Norway's reputation (of having the best government support for authors). This is a major accomplishment! However, we can do better! We must do better! If we're to credibly secure this new identity, we need to base it on the square miles of the recognized "inhabited" islands of Saipan/Tinian/Rota (45+39+33=117sq.mi), or even the entire CNMI (~179-185sq.mi)! We can do it! This was just a preliminary search and we know there are others out there! So, I need your help! No, the CNMI needs your help! Did we miss anyone you know? Find any errors? Add yourself and books you know of at www.saipanwriters.com where you can view the growing list (with author bios and links). Email me at walt@saipanwriters.com, and follow the growth at Facebook.com/Saipanwriters! Meanwhile, however, spread the word! Tell your friends: "Saipan: we've got writers for miles!!"